Shuffle up and Deal! 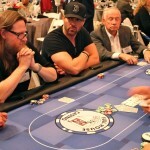 Full House Casino’s Poker Table Rentals are the best in the business. 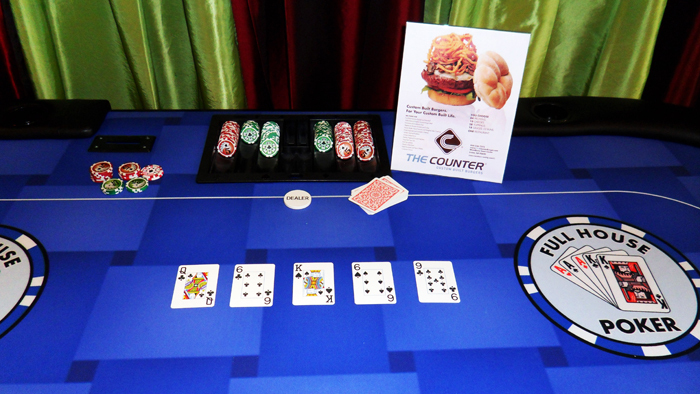 Our full size Texas Hold’em Poker table measures 8x4ft and features professional speed felt, padded leather arm rests and individual cup holders. 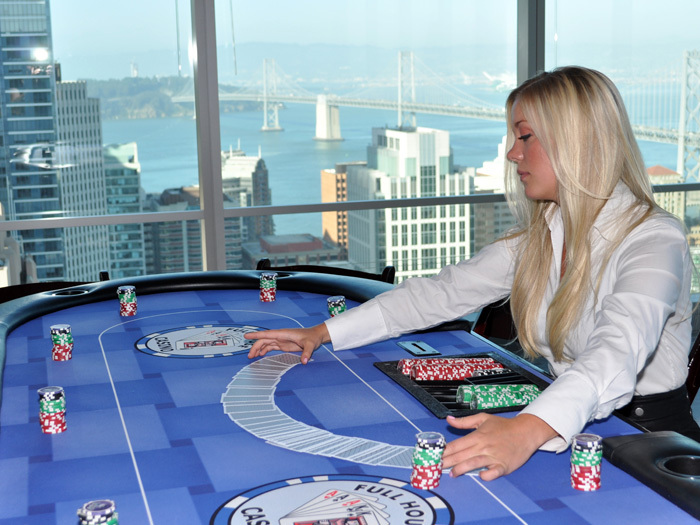 Our trained professional dealers are fun, engaging and will teach you the intricacies of playing poker. Whether you are a beginner to Poker or a seasoned pro, the dealers will keep the game moving along so each guest is having a great time. 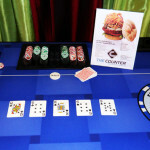 Full House Casino Events only uses the very best in 100% plastic coated copag playing cards and clay denominated chips. 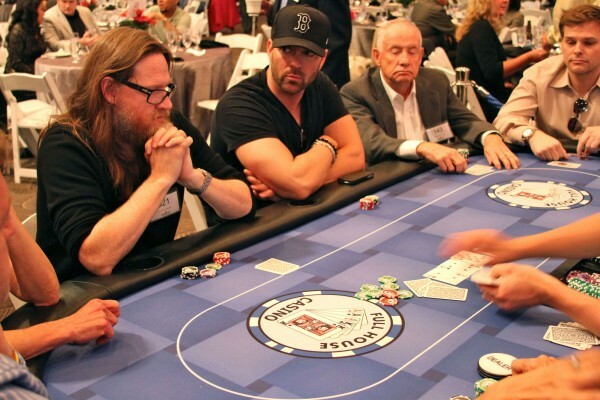 Please call us at 1-888-599-0104 and let one of our seasoned staff help plan your next Texas Hold’em Poker Fundraiser or Tournament. 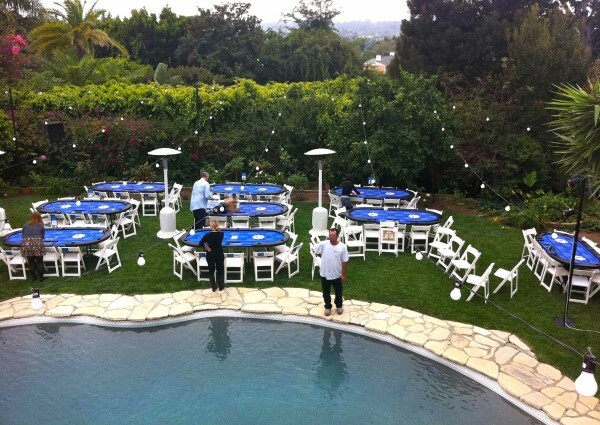 We are located in cities across the country like Los Angeles, San Francisco, Houston, and New York. 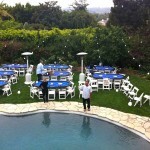 Every year, our service hosts 100+ events so let us draw from our experience and help you organize a successful event! 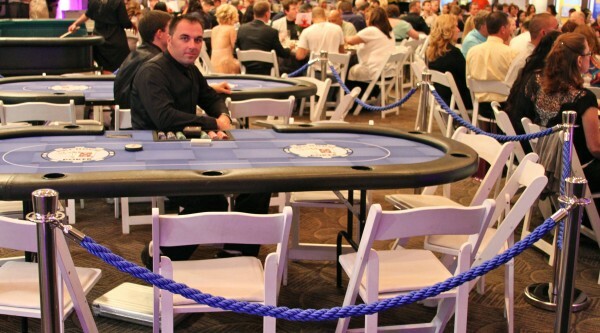 Our custom made poker tables have padded leather armrests with drink holders for every player. 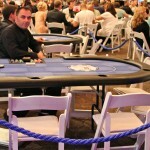 Tables also have a dealer chip tray to hold the dealers chips and cards.